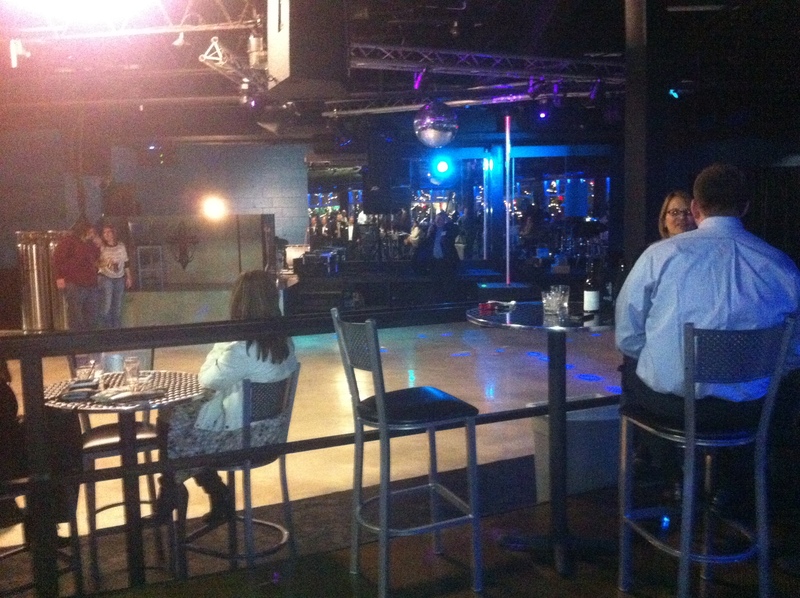 Have you been to Club Bacchus yet? 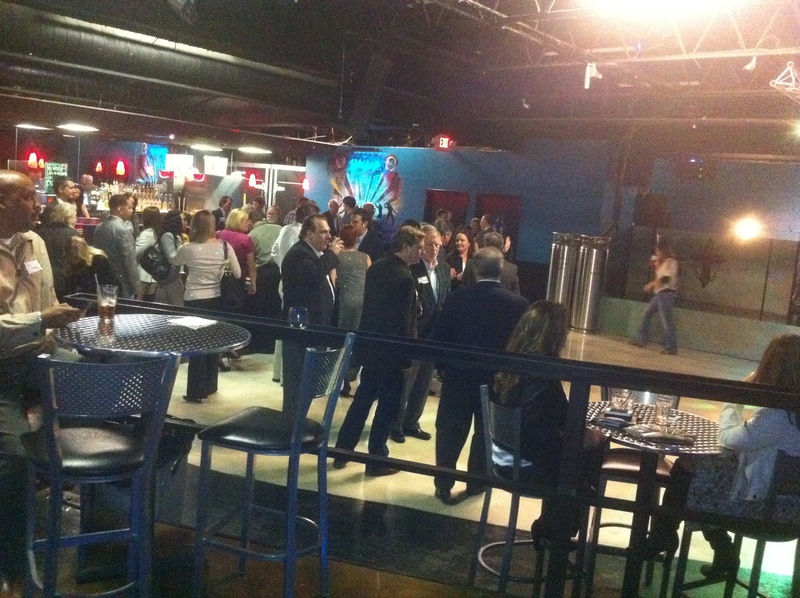 From 5:05 until 6:30 this evening I and a number of my fellow-travelers enjoyed food, music and drinks courtesy of Club Bacchus and BankCorpSouth at one of Operation New Birmingham’s famous 5:05 meet and mingles. The club is sparkling, and the dance floor on the second level took me back to my dancing days, complete with disco ball. I finished up the evening, sipping, and chatting at a window table occasionally gazing out the window at 11th street’s lights twinkling below and Vulcan shining just beyond on the mountain. Listening to the singer on the bandstand, playing his acoustic guitar play to an inattentive audience, gave me pause. I’m accustomed to people paying attention to me – good or bad, but never ignored. I stopped mid-sentence and started a round of applause as he finished his last song. I like this place. They allow smoking on the second floor which opens late for dancing, my smokin’ (literally & figuratively) brother will love that, but no smoking in the pub on the first level. Check Club Bacchus out if you get a chance. I know I’ll be back. Previous Happy Chinese New Year – Do you know your whole sign? Next Is envy really a deadly sin?